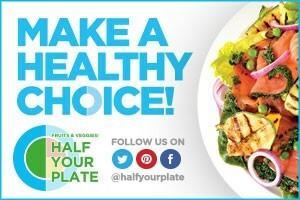 We could all stand to eat more fruits and veggies on a daily basis which is why we've teamed up with Half Your Plate, a new initiative to get Canadians incorporating more fruits and veg into their diets. And it doesn't have to be that hard - simply fill half your plate with veggie and fruit goodness at every meal or snack! Tis the season for entertaining! Whether it's sit down dinners, open houses, casual gatherings or cocktail parties, there will be eating! Nothing can derail healthy eating faster than all the sweets and treats that are tempting us from every counter top this time of year. But if you remember the very simple "half your plate" rule, you'll get through the holidays just fine with lots of energy and a little give in your stretchy pants! What is the "half your plate" rule? It's so simple! Whenever you're eating, make sure that half your plate is full of fruits or veggies. Whether it's breakfast, lunch, dinner or, my personal favourite, snack time! 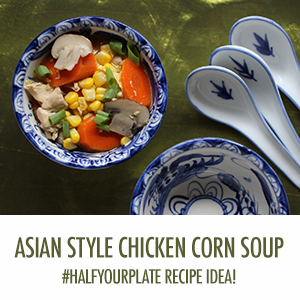 Half Your Plate Friendly Appetizers! Appetizers are a perfect example of how you can keep guests clamoring for more but still feel great about what they're eating. And it can be so easy. 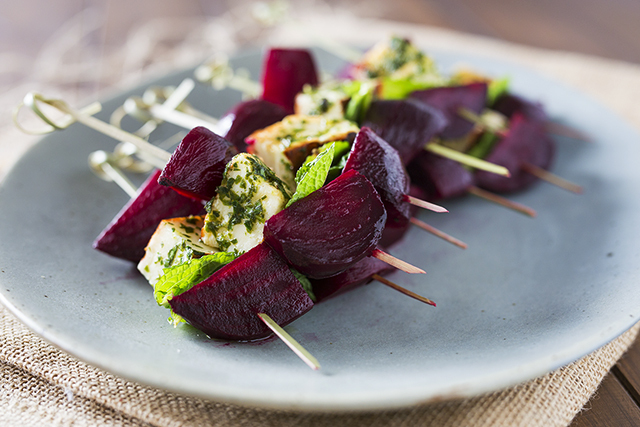 Alanna Lipson from One Tough Cookie created these simple roasted beet and halloumi skewers which will do triple duty - they'll taste delicious, look gorgeous and they're Half Your Plate friendly! 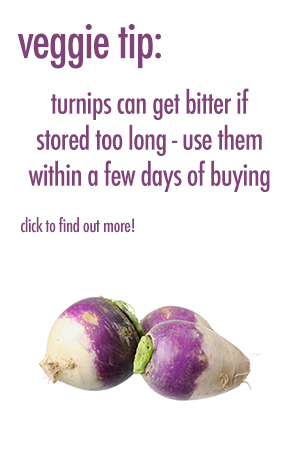 If you're short on time or don't dig beets, she's got some time saving tips and some great veggies you can sub in if needed. Preheat the oven to 425F. Wash your beets thoroughly, then place them in a pyrex dish, cover with aluminum foil, and roast for 25-35 minutes, or until they are easily pierced with a knife. It might take slightly longer for larger beets. While the beets are roasting, mince the fresh parsley leaves until they are very fine. Transfer to a small bowl and add the ¼ cup olive oil and the juice from ⅓ of a lemon. Stir together. In a large pan on medium-high heat, fry the halloumi for a couple minutes on each side, until it develops a nice golden-brown colour. Remove from heat, and slice the cheese into even-sized cubes — I tend to cut them into 18 rather than 12 pieces, so I have some extra for snacking! Toss the cubes in the parsley sauce, and allow to marinate for a few minutes. When the beets are done, remove them from the oven and allow to cool before handling. Remove the skins (they should rub off quite easily; otherwise, you can use a vegetable peeler) and the tough area where the stem was attached. Slice into quarters/thirds depending on the size of the beets. Assemble each skewer by adding a slice of beet, followed by a piece of halloumi, followed by a fresh mint leaf, followed by another beet. Repeat. Best served while the halloumi is still slightly warm. -Pressed for time? You can roast and peel the beets a day in advance and store them in the fridge, or you can even buy preserved baby beets that come pre-cooked. 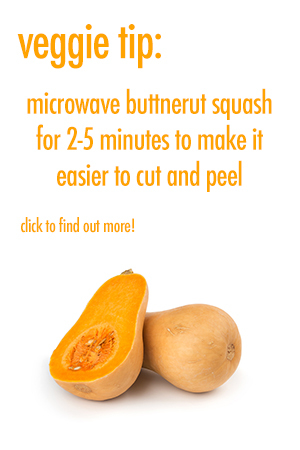 -This recipe can be easily adapted to other seasonal vegetables. Try roasted carrots or butternut squash in place of the beets. -If you have any leftovers, chop the beets and cheese into smaller pieces, and use as a salad topping. 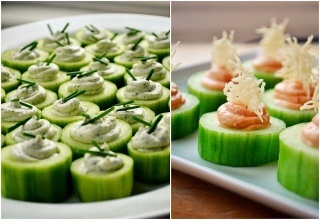 Even More Delicious Holiday Appetizers! #CDNMilk Twitter Party with 100% Canadian Milk!